Our customer service-oriented company is committed to delivering the services that our clients need, from minor gutter repairs and cleaning to full gutter replacements. When you’re looking for a company that can do the job right the first time, look no further than Honey-Do-Men Gutters, Roofing & Handyman Services. We offer a number of gutter services to homeowners and businesses in Carmel and throughout Putnam and Westchester counties. 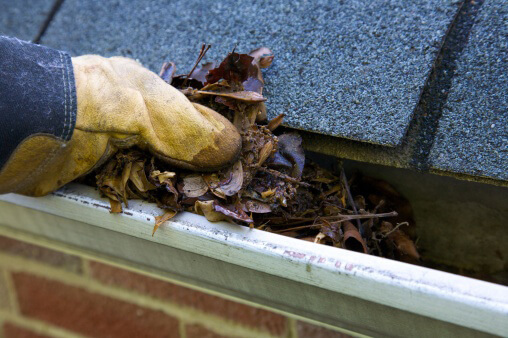 Our gutter cleanings are thorough – we don’t just pull out the debris from the gutters. We promise that we will not only remove debris from your gutters, but we will also bag it and remove it from the property. We will also remove all debris buildup behind skylights and in the valleys of the roof, as well as wash down any areas of the house that we track mud on during the cleaning. Our gutter cleaning involves going along the entire roof with a blower to remove other debris and hammering in loose nails to better secure your home. All of our gutter cleanings are offered with a 30-day guarantee against overflows and clogged leaders. Our screw anchor replacement service involves pulling out all of the smooth-shafted nails in the gutter and then re-pitching the gutter, if necessary, for correct water flow. We will also replace the nails with seven-inch screw anchors. We offer a lifetime warranty that the gutter will never pull off of your home again after being replaced by Honey-Do-Men. The screw anchor replacement service is a much more cost-effective alternative to fully replacing your gutters, and it is one that can be completed quickly by our company. If the corners of your gutters are leaking, we can scrape off the old sealant in the gutter and then remove all debris and mud from the area. Our next step will be to scuff the surface of the gutter with sandpaper, which will give the new sealant something to grab onto when we re-seal it. The last step in our process will be to apply a coat of liquid rubber to the entire corner of the problem area. At Honey-Do-Men Gutters, Roofing & Handyman Services, our repairs of leaking gutter corners are provided with a five-year leak-proof warranty. Our gutter installations are completed with 0.032-gauge aluminum, the heaviest and thickest gauge aluminum on the market. We are not in the practice of bringing gutter pieces to a home and then gluing the pieces together; instead, we use a 15-ft. box truck and we employ a crew of three or four professionals to custom-build new gutters for your home. Our gutters are custom-built, seamless, and glossed with a white or royal brown finish. Upon request, we can also offer a number of other custom colors, including seamless copper. Our downspouts are attached using hidden clips that are screwed into the house for extra security. We are one of the only companies that use the triple gasket seal system to secure gutters. All of our gutters have a worry-free, 30-year warranty that covers materials and labor.